sherapop's salon de parfum: The Perfect Scent for a Little Pink Princess? Perfume is seldom given much air time in films--whether feature length or series episodes--part of the reason for which may simply be that scent is not visual. Perhaps even more importantly, perfume is simply not an important part of life for the vast majority of humanity, avid perfumistas notwithstanding. 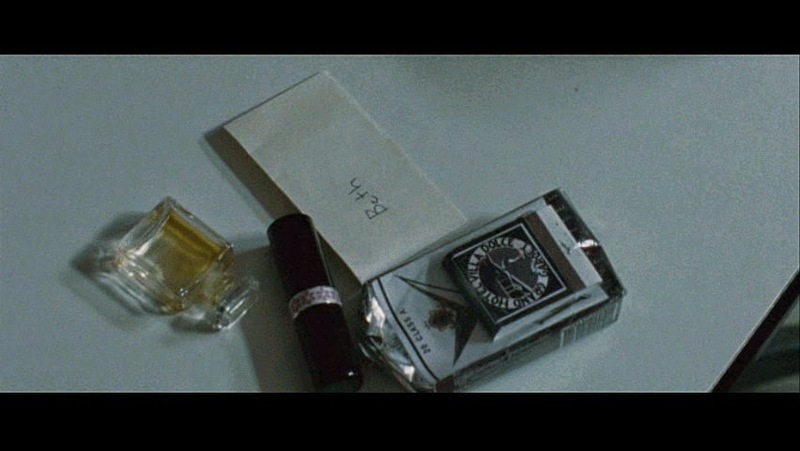 When perfume does make a brief appearance, it usually serves as a setting prop, a part of the interior decoration of a space where one of the protagonists lives. 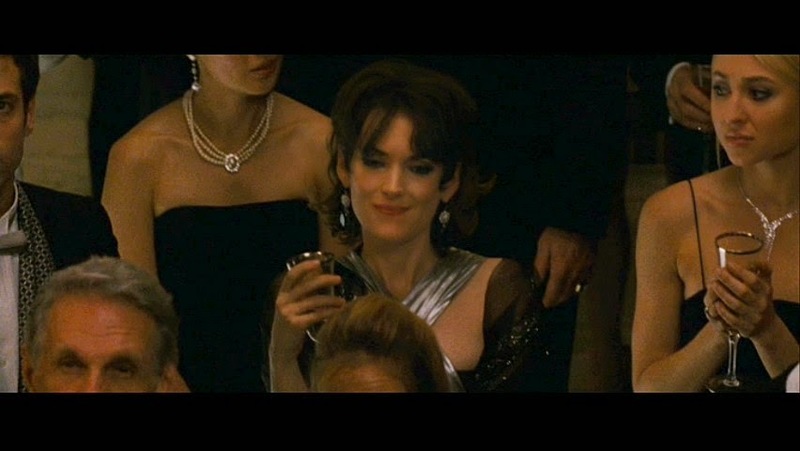 In Black Swan, starring Natalie Portman,Vincent Cassel, and Mila Kunis, with important contributing roles by Barbara Hershey and Winona Ryder, perfume is shown only a couple of times, and it is the same bottle. From the shape, anyone who knows anything about perfume recognizes that it is Chanel, but which Chanel perfume might this little bottle contain? To answer that question, one must consider the bottle in context. Nina (the Natalie Portman character), a twenty-year-old ballerina whose life quest is "to be perfect," has boosted the little bottle of extrait from Beth (the Winona Ryder character), who is described by some catty younger ballerinas in the same troupe (the New York Ballet) as "approaching menopause." That is, of course, why "the little princess" is on her way out the door, while her mentor and former lover, Thomas Leroy, the exceedingly French ballet director (played by Vincent Cassel), is attempting to fill Beth's now tattered toe shoes. I was very intrigued to see that Black Swan was included in the 2014 Film Noir encyclopedia (published by Taschen). Maybe I don't understand what film noir is, but it seems that some people (the editors of that volume) were laboring under the ill-conceived notion that the word 'black' in the title "Black Swan" was a sufficient qualifying noir element. I respectfully disagree. There is no crime in this movie at all. There is no mystery. There is the psychological and emotional breakdown of a ballerina under intense pressure by her mother and herself to be perfect. There is a sexist dance director who preys on his star ballerinas until they grow too old, at which point he kicks his "little princess" to the curb to make room for the next lay in line. That all may sound pretty negative, so why did I give this movie a '7'? Because it really is the film equivalent of a page turner. There is lots of forward momentum, which keeps the story from ever becoming boring-- though I see that many of the "hate it" reviewers found the whole thing tedious. One detractor suggested that time would be better spent watching paint dry. Which reminds me of the fundamental problem with Black Swan: each short scene is brim with energy and seeming significance, but then nothing ever really ties it all together in a coherent way. The ending turns out to have nothing really to do with anything that preceded it--aside from the fact that Nina has had a major mental breakdown. Perhaps the harsh detractors were displeased that the action depicted throughout the film oscillates wildly between objective and subjective reality. Lots of hallucinations are included through the use of special effects in scenes which seem initially to be about the world of the film, not the skewed world of the main character's mind. Nina, the Natalie Portman character, is exceptionally neurotic and annoying, to be perfectly frank. She constantly scratches herself, to the point of causing rashes and bleeding down her back. I was not convinced that such a woman/girl could really make it to the big league of ballet, for which the competition is no doubt incredibly intense. Nina is so fragile and devoid of self-esteem that Portman's performance struck me as more consistent with an introverted outcast devoid of any friends. For that role, I'd say her acting was good. Think: Ally Sheedy in The Breakfast Club. For this one? I was not convinced. 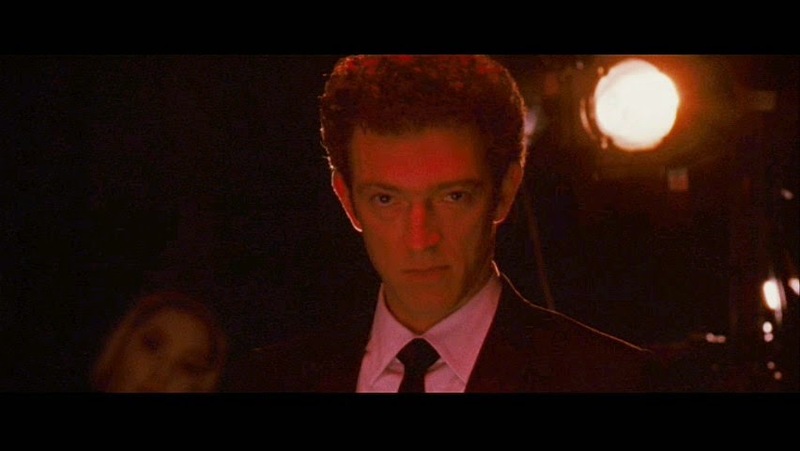 I was happy to see the star of La Haine (Vincent Cassel) in the male lead role, though it was also somewhat annoyingly stereotypical. (All powerful French men are sexual predators--ce n'est pas vrai?) Despite its many flaws and its massive melodrama and endless clichés and stereotypes, I still found Black Swan worth watching. Would I watch it a second time? Probably not. So, to me, this is no masterpiece (a necessary criterion for which is the desire and even compulsion to view the film over and over again). But I do believe that Black Swan is worth watching once. The list literally goes on and on... From my rather negative reaction to the "just say no" War on Drugs feature-length info-mercial, Requiem for a Dream, I am now prepared to state, as the conclusion of an induction on two cases, that subtlety is not Mr. Aronofsky's forte. Of course, that is precisely why he has been heralded as a true auteur by those who adore him: his messages are so loud and strident that you'd have to be stone deaf not to hear them. They also echo piles of platitudes bouncing around like so many ping-pong balls in nearly anyone's cranium, thus persuading them to believe that he really "gets it"--whatever one happens to believe. 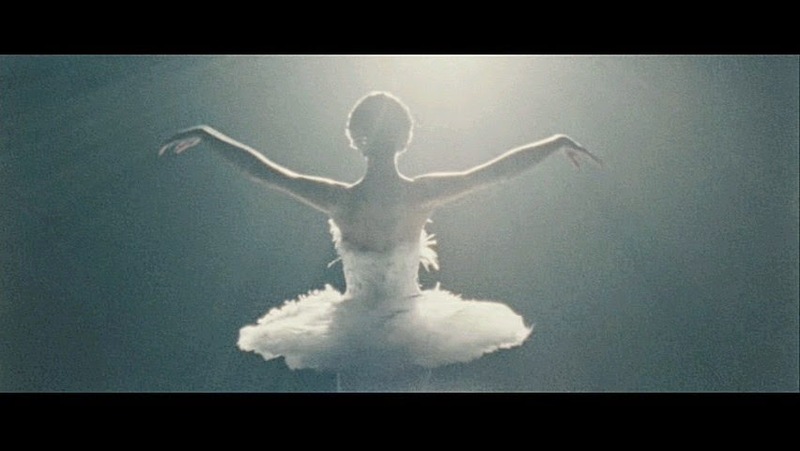 Is Black Swan about achieving artistic perfection? Or is it about abject failure, the self-destruction of a young woman who tries hard to be perfect, but cannot surmount her own pathetic desire to please others: her mother, her director, her predecessor, the audience--in effect: anyone and everyone. This need to please, to "be good", to endear herself to other people, to do what everyone thinks that she should do, consumes Nina's entire being. The number one culprit in this film, even above her lecherous director, is Nina's "self-sacrificing" mother Erica, who lives with her adult daughter and continues to fret over her as though she were still a small child. Erica is terrified of losing control and letting go of the last remaining hope that her own squandered life might still achieve some sort of vicarious meaning, however remote. We've all heard and seen this song and dance over and over again, yet people continue to repeat the same mistake with each new generation. Alas, the fruit does not fall far from the tree: both Nina and her mother lack any degree of nobility of spirit. Who or what is to blame? Nature or nurture? Take your pick. The mother and daughter are entirely obsessed with fame and success and with achieving the recognition of other people. For this reason, I find it ludicrous to consider them artists at all. Nina and her mother aspire to acclaim, not to "artistic perfection," whatever that's supposed to mean. The perfume of perfection, then, turns out to be whatever Beth (Leroy's former "little princess") happened to wear. Had she worn Aquolina Pink Sugar, Nina would have stolen that bottle instead. Nina is devoid of any capacity for judging anything beyond a set of values generated by la foule. She looks out into the audience yearning for their applause, and that is why she steals Beth's lipstick, cigarettes, diamond earring studs and perfume. Nina is altogether incapable of evaluating the quality of a perfume. Left to her own devices, she might well choose Pink Sugar--for its "pretty pink" color, as she describes the grapefruit her mother serves her for breakfast. Pink is also the color of the huge, thickly iced strawberry cake Erica buys to celebrate her daughter's success in being named the Swan Queen. Beth's bottle in all likelihood contains Chanel no 5. Why? Because it is a famous and even legendary perfume--perfect for a princess. Nina believes that by following Beth's example, she can become Leroy's new "little princess". Judging by her mother's silence on the matter, it seems that Nina does not really wear the perfume, except perhaps for her visit to Mr. Leroy's office, where she asks for the lead role of the Swan Queen in the upcoming production of Swan Lake. Nina may have worn the perfume along with the lipstick in her desperate effort to win the lead role, for the director does note that she has come to him all "dolled up". However, the aspiring Swan Queen definitely does not wear the perfume at home. Her mother takes note of the diamond studs in her daughter's ears but says not a word about the perfume scent which surely would waft strongly from anyone who applied Chanel no 5 to her skin. The best explanation may simply be that Nina takes a hot shower and lathers up with Camay soap to maintain her pink sheen after each day's rehearsal and before taking the subway home. In the end, Nina dies having tasted, she says, perfection. In reality, she has been released from her suffering, her bleeding fingers and toes, once and for all.